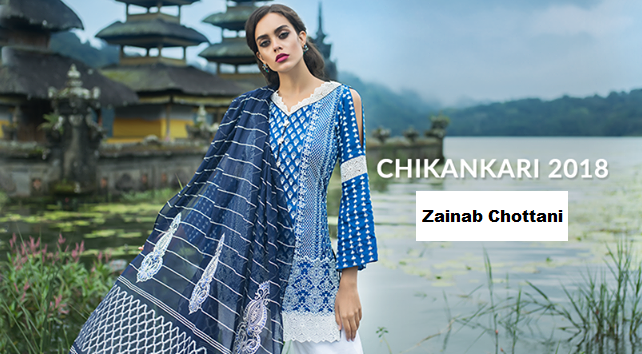 Once again Zainab Chottani presenting Chikankari Eid Festive collection in finest quality of lawn Supima, With hand woven khadi yarn dyed Jacquard Dupatta along with chic Embroidered Embellishments. Zainab Chottani also bring a unique fashion attires for every occasions to giving you prominent look with sophisticated style. Be a vision like an ethereal dream this Eid with Zainab Chottani Chikan Kari collection. Its soft hues are sure to make your summery Eid absolutely breezy! Zainab Chottani Chikankari Eid Festive Collection 2018 presenting in 14 unique ideas and each creative pattern make you speech less, So look below we are sharing complete catalog for you, plan your festive shopping with these stunning designs.